It's officially time to start thinking about Valentine's Day! I am horrible at shopping for men so, here is a gift guide for the ladies in your life. Whether you are shopping for your wife, your sister, your daughter or your best friend, from the feminist to the fashionista, I've got you covered with 10 gifts for her under $30! A great inexpensive gift, perfect for all ages and the current cold weather. Apply a small dab of this to your lips and rub them together to scrub off dead skin and reveal smooth lips. Lick of the excess and enjoy the taste of bubblegum. It makes me feel like a kid again, every time. And we all need kissable lips for Valentine's Day right? This cute long sleeve tee is perfect for any girl in your life. The long sleeves are great for the current drop in temperature and the color is perfect for the month of February. A little color helps to chase off those winter blues. Plus, who doesn't love being called a babe? I love Daisy Perfume by Marc Jacobs but, it tends to be on the more expensive side. That's why grabbing a smaller size is an amazing option. It's the perfect trial size in case you are hesitant whether they will like it, fits conveniently inside a purse or backpack and you don't have to drop as much cash. Daisy Perfume comes in several different scents but, the scent Love is definitely the way to go for Valentine's Day. Tassel earrings are a fun way to amp up any outfit. It can take a simple jean and T-shirt look to the next level. That's one of the many reasons I think they are such a hit right now. Little effort for a big payoff. These cute pink ones are a great (and inexpensive) gift to amp up your Valentine's Day. NARS is a high end make up line that can set you back cash wise. That's why, like the Marc Jacobs Perfume, travel size is the way to go. You get a more expensive item without the risk of wasting cash. This set includes two shades of their five star lip pencils. One red, Cruella, and one pink, Dolce Vita. I have never met a girl who hasn't loved receiving a new blanket as a gift. It doesn't matter how many they currently have, the more the merrier! And what is more fun and cozy than a pink furry blanket? Have a nice movie night in with the ladies or an indoor picnic to avoid the restaurant crowds on the big day. The gift of empowerment right here. 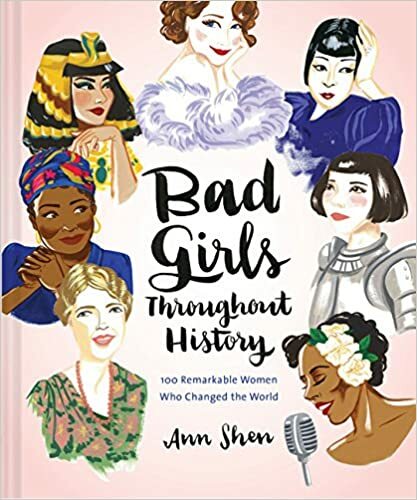 This book is filled with beautiful artwork of inspiring women who changed history. From Cleopatra, to Joan Jett, to Madame Curie to Oprah. This will leave them feeling ready to take on the world and make a difference. This is the perfect gift for that "fun" person in your life. Pool floats add color to a day by the water but, they can also be used inside all year round. I have several pool floats that I love to bring out to decorate for parties. I have also seen them used in all types of rooms for decoration. So, if you don't live in a year round sunny climate don't count this out just yet. It's the perfect fun year round toy. Did I mention it is filled with glitter?! 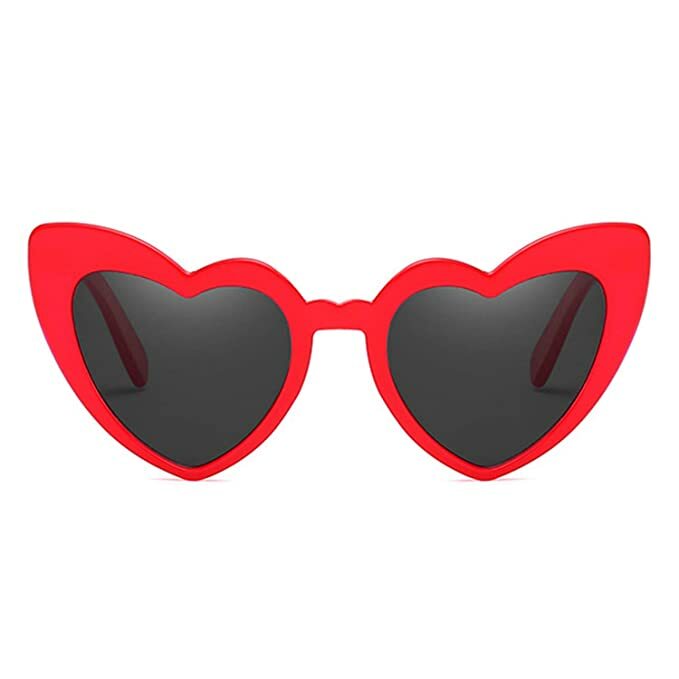 Heart sunglasses have grown very popular over the last several years. I love this pair as they are a vintage take on the more modern classic. They have a fun cat eye vibe to set you apart. They will be rocking these all Valentine's (and all year) long. A fun way to change up the candy you pass out for Valentine's Day. These cute Sugarfina gummies are made with alcohol and come in a variety of flavors, including champagne and rosé. Another fun option are the sugar lips gummies that would be perfect for your Valentine. They come in both small or large cubes. When all is said and done the gummies have less then 1% alcohol so, they are appropriate for all ages. I filled it with things I would personally love to receive and tried to cover all the bases. What would you love to receive for Valentine's Day? If you decide to gift any of these items be sure to let me know! Now, what do you get guys for Valentine's Day? All suggestions are appreciated and welcome!